So, while I don’t use Facebook any more, other than having an account for things like Poker apps or the like, I do have an account, and saw this earlier today. Naturally, I went back to Bible study as a child, then teen, then adult, and thought about the story of Christ feeding the multitude, and they were not “migrants.” The multitude were citizens of Judea, either Jews living in Israel, or other Roman citizens of that province, and had been following Jesus for a while, as he was teaching and ministering to them. At this point, though, Christ learned of the death of his Cousin, John the Baptist. Matthew 14:1 is the beginning, where we learn that Herod the Tetrarch had John in prison, and did not want to kill him for fear of making him a martyr or angering the locals, but one of his birthday guest’s daughter requested it after he promised her anything. “Give me here on a platter the head of John the Baptist.” (Matthew 14:8) so he did. When Christ learned of the death of his Cousin, he retreated for solitude, but the multitude followed him still. Eventually, the Disciples came to him and asked him to send them away to find food. Rather than doing so, Christ performed a miracle, feeding over 5000 with just 5 loaves of bread and 2 fish, once again showing the power of God, and the love of God in supplying food enough for all, and more. Naturally, when I saw this, I was concerned about a Church misleading people, as there are many instances where Christ specifically made sure to obey the law, or where things we are told are immoral or wrong, and God is used to “prove that,” were specifically ordered in the Bible. Romans 13:1 “Let everyone be subject to the governing authorities, for there is no authority except that which God has established. The authorities that exist have been established by God.” Literally saying to obey the law of the land. I personally choose not to travel to countries where the law is contrary to God’s divine laws, so that I am no subject to those laws at any point in my life. If that comes to Texas, I will follow God’s law. Now, seeing this, I knew I couldn’t just comment and walk away, as this is a Man of God either purposely spreading this message, or at the very least, allowing someone else to use his Church sign to spread it, so I contacted him with my concerns. Matthew 18:15 tells us that we are to confront each other, and to spread this message, where they claim Christ would violate border laws, when that is not true, is lying, and thus, a sin. I didn’t get angry, I simply voiced my side of the debate, and I pray it will be resolved well, but I can’t control anyone but me. Naturally, there are many people who still claim Christ would be opposed to the current President’s aim of building a wall on the southern border of the US, but that ignores Nehemiah 3, where Nehemiah is specifically ordered to start the reconstruction of Israel by rebuilding the wall around Jerusalem. This is also specifically stated as being for the purpose of protecting the Israeli people. So at this point the question is a very simple one, do you believe the Bible is God’s word or not. If so, then you must know that the commandments are his commandments, be those the Ten Commandments given to Moses, or those given by Christ to his Disciples. I’ll be the first to admit I backslide (ask my Mother, she’ll tell you that’s true), and that is why, when someone gets upset with me for calling something a sin, I remind them that I am a sinner too, and all they need to do is repent, ask forgiveness, and work to not sin again. None of us are perfect, and none of us will be this side of Heaven, but we can work to be a proper example of Christ while we are here, and that is what we should be doing. I will support helping those who need help all day long, but when those people have literally marched through multiple countries, with those countries offering jobs, asylum, work visas, and more, only to say “nope, America must obey me,” those are invaders, nothing more. They chose to march to the border of a sovereign nation, to then order said nation to allow them to break the laws of that nation, and now citizens of the US are even joining them in their cries to just ignore our laws. I don’t agree with Mexico keeping Doctors Without Borders from helping, as long as DWB followed the rules in getting to the locations in question, and so on. I don’t have any trouble with Americans sending food, clothing, and more to the people now waiting as their cases are decided. I do, however, have a large bone of contention with those spreading lies. Children are not “ripped from the mother’s arms” at any point. They cannot be housed with adults, and that’s it. They are cared for, fed better than possibly any other time in their lives, and when all is said and done, they’re returned to their parents. Many, though, aren’t coming with their parents, but with strangers who are using them. 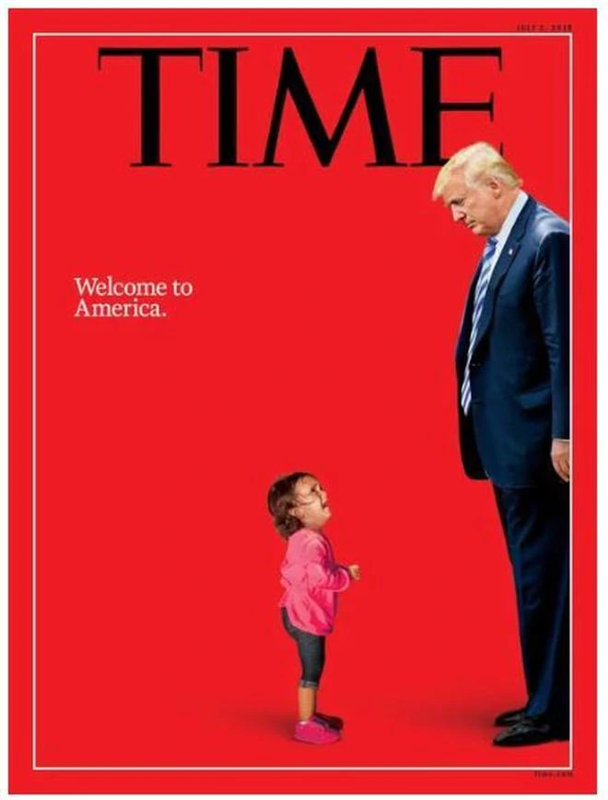 The girl in the photo above, rather than as portrayed, crying due to being alone, had been kidnapped weeks earlier by her mother, and dragged from Honduras to the US border. 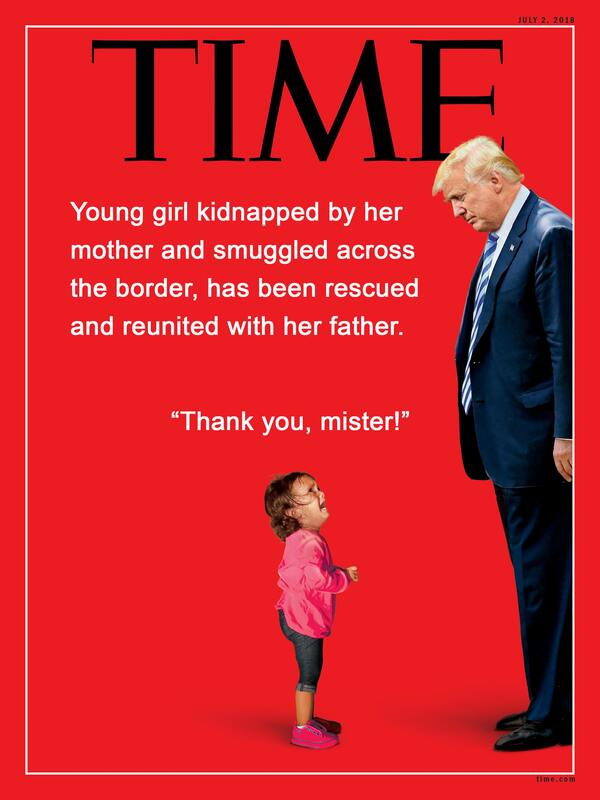 At no time was she separated from her mother, until she was reunited with her father, yet Time Magazine decided to get political, and spread bald faced lies about the situation. This led to protests, and more, and even now that the truth is known, it’s kept quiet as Time doesn’t want to have actually admit their lie was discovered. I personally want a society where, when a news publication/organization is found to have lied, they must give the same amount of coverage/space to their correction, such as time having to do something like this. If they had to do this every time they were caught lying, sure, we’d see fewer and fewer stories every day, but we’d get real news again, very worth it if you ask me. Well, my rant has gone on long enough, what do you think about all of this? Just a short while ago, I began commenting on a thread about survival prepping. Now, I know you’re thinking ‘Oh great, a prepper post’ but that’s not what this is. By no definition of the word am I a ‘prepper,’ but I’m also not so naive to think nothing will ever happen to drive me away from my home. From natural disasters to EMP weapons to nuclear strike, there are any number of reasons you may be unable to live as you’re accustomed to now for even a short period of time, and that means you could suffer horribly, or just be inconvenienced, based on being prepared for it. Food, water, shelter, heating or cooling depending on climate, medical supplies, defensive weapons, hunting/fishing supplies, just to name a few items. These are, by no means, the only things you’ll need, but it’s a start. Think about what your auto emergency kits at Walmart or Target have in them. Flares, a thermal blanket, bandages, etc. All great things, as flares can signal people looking for you, start a fire, or even drive off predators, since wolves or bears generally don’t like fire. Add some paracord, which is almost universally 500lb test, a solar mirror, water purification straw or tablets, fish hooks, a good knife, and you’re well on your way to ensuring you’re warm, mostly dry, fed and hydrated for a long as you can be. Some of my friends have also suggested a solar USB charger, as in all but an EMP attack, your phone could be invaluable, as it can generally find you on a map, and give directions, or just make a call that might be triangulated to find you. Naturally, in a situation like the movie Red Dawn, you’re going to want to hide and never be found, but as that’s likely such a long shot as to be laughable, it’s not a bad idea. Not to mention, if you’re traveling with small children, just having some music at night can help too. The point of all of this is very simple, look at your environment, I’m in north Texas, someone in Colorado will need very different supplies, as would someone in Alaska. Look at where you would go in an emergency, what will you need there. What do you already know how to do and what don’t you. Once you know these things, you can add to your supplies and learn skills you need but haven’t mastered yet. Learn CPR, how to apply a tourniquet or otherwise stop bleeding, how to recognize what not to touch or eat, and so on. Even if nothing ever happens, if your water is poisoned like we saw in Michigan, you have something on hand to use. If your friend falls and gashes their leg at a park, you know how to react as someone also calls 911. The simple message, prepare for the worst, and pray for the best, is one that isn’t a sign of paranoia to live by. You keep a spare tire or a can of Fix a Flat in your car, right? I know people who hide a $20 bill in their car, so if they run out of gas, they have money. They may never use it, but it’s there, and peace of mind is a good thing. All of this said, I am not an expert by any means. I can trap/hunt/fish and cook what I kill, I can find make a sling or stretcher if needed, I can even fight off predators, including other people, to protect myself and my family, and I know that I don’t know all I need, so I look for books and classes, and listen to others. What would you include in a bugout bag that isn’t a firearm or ammunition? What would you put into an emergency bag that isn’t listed here?